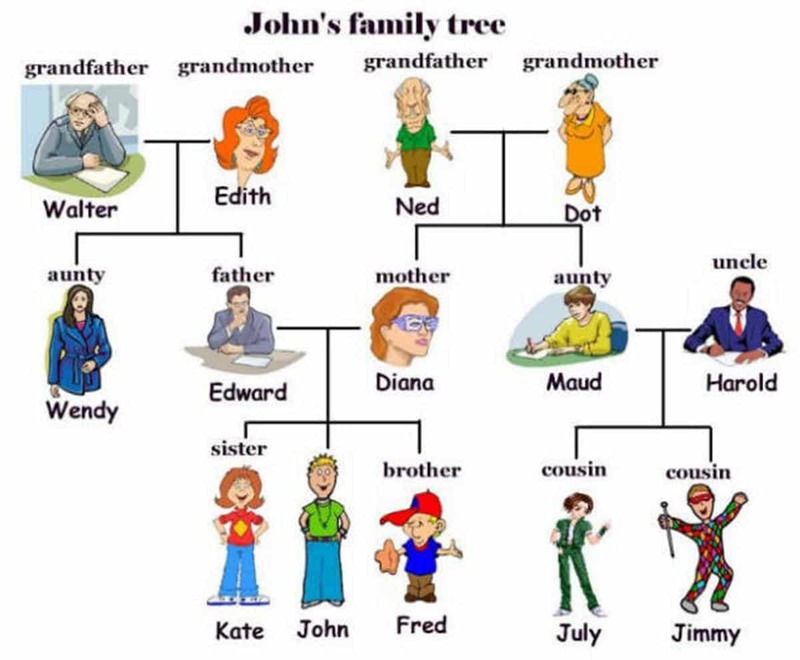 Learn Family Members and Different Types of Family in English. Family is important no matter what language you speak. Diverse data from ethnography, history, law, and social statistics, reveal the human family as a social institution and not as a biological fact founded on the relationship of consanguinity. The different types of families occur in a wide variety of settings, and their specific functions and meanings depend largely on their relationship to other social institutions. The term “nuclear family” is commonly used, especially in the United States of America, to refer to conjugal families. A “conjugal” family includes only the husband, the wife, and unmarried children who are not of age. Sociologists distinguish between conjugal families and nuclear families. Other family structures, such as blended parents, single parents, and domestic partnerships have begun to challenge the normality of the nuclear family. A “matrifocal” family consists of a mother and her children. Generally, these children are her biological offspring, although adoption of children is a practice in nearly every society. This kind of family occurs commonly where women have the resources to rear their children by themselves, or where men are more mobile than women. As a definition, “a family or domestic group is matrifocal when it is centred on a woman and her children. The term “extended family” is also common, especially in the United States. This term has two distinct meanings. First, it serves as a synonym of “consanguinal family”. Second, in societies dominated by the conjugal family, it refers to “kindred” who do not belong to the conjugal family. These types refer to ideal or normative structures found in particular societies. Any society will exhibit some variation in the actual composition and conception of families. The term “family of choice,” also sometimes referred to as “chosen family,” is common within the LGBT community, both in academic literature and in colloquial vocabulary. It refers to the group of people in an individual’s life that satisfies the typical role of family as a support system. The term differentiates between the “family of origin” and those that actively assume that ideal role. The family of choice may or may not include some or all of the members of the family of origin. The term blended family or stepfamily describes families with mixed parents: one or both parents remarried, bringing children of the former family into the new family. A monogamous family is based on a legal or social monogamy. In this case, an individual has only one partner during their lifetime or at any one time. This means that a person may not have several different legal spouses at the same time, as this is usually prohibited by bigamy laws, in jurisdictions that require monogamous marriages. Polygamy is a marriage that includes more than two partners. When a man is married to more than one wife at a time, the relationship is called polygyny; and when a woman is married to more than one husband at a time, it is called polyandry. If a marriage includes multiple husbands and wives, it can be called polyamory, group or conjoint marriage.